The aura is an energy field that surrounds living things. It is our life force. It can also been called the human energy field. Shaped like an egg or oval of light that surrounds the whole body, it can look like a heat haze shimmering with light and energy. You may have seen the aura already, as a light around a person’s head or you may have felt the aura by sensing someone’s mood. You can think of it as an atmosphere around the human body- just as the planet earth has an atmosphere. 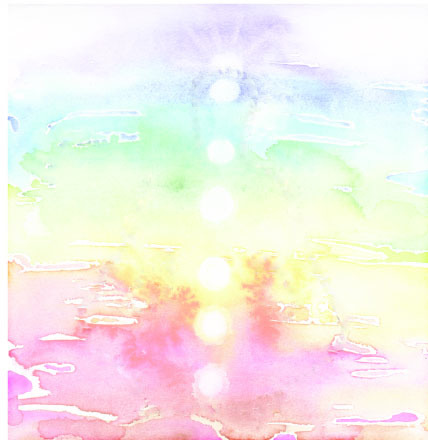 The aura is generally recognised as having seven layers. Most psychics only see the first three- those closest to the physical body. The outer auric layers are concerned with the soul and spirit whereas the inner auric layers relate to mind, emotions and physical health.